We recently had to move my Grandma to a nursing facility, and my Mom and Aunt have been trying really hard to make her feel at home. This is hard to do for many obvious reasons (i.e. you’re moving a whole home into one room, you need to go through everything and sort things out, etc. ), but hardest of all is not being able to bring many things into the new room with her. Due to the nature of the facility, she is unable to bring in any valuables or seasonal items that take up too much room to store. For Easter, I wanted to make her something that would spruce up her room but wouldn’t be valuable, would be disposable, and could easily be stored. 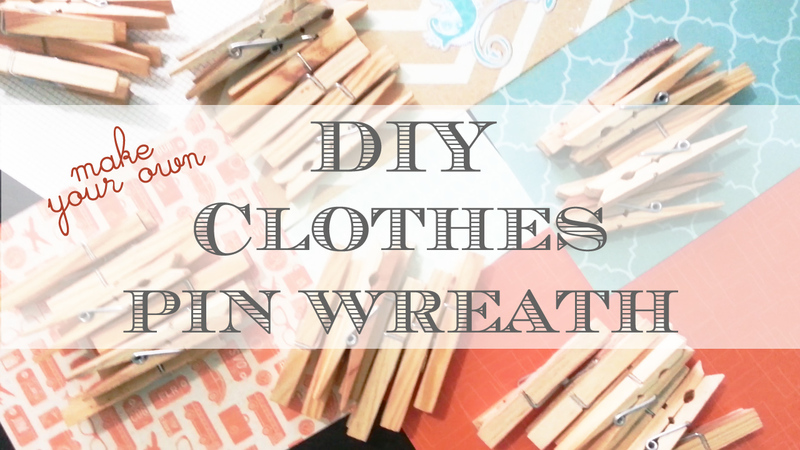 The DYI Clothes Pin Wreath was an obvious winner, for these reasons and more. 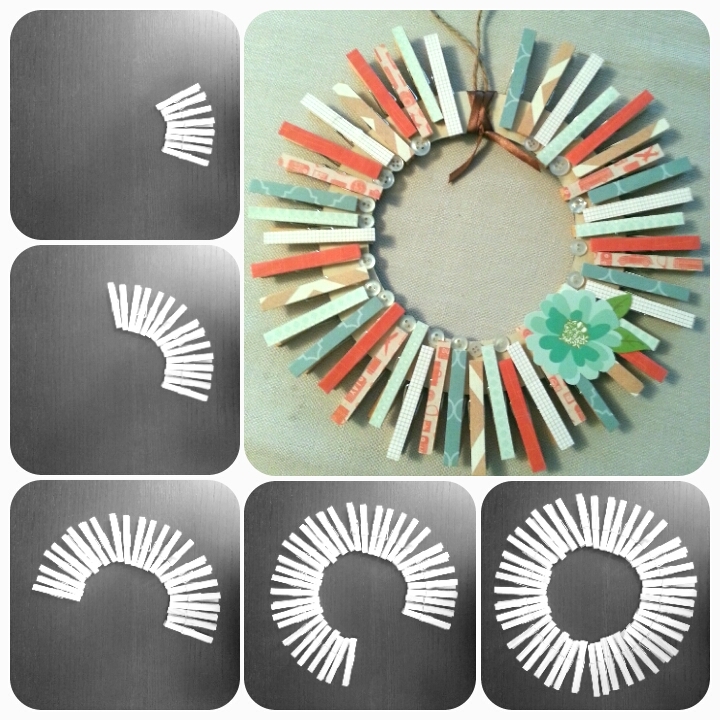 I had a lot of fun choosing the paper for the wreath and creating the spring colour palette. I’ve added a little step-by-step tutorial below with a supplies list so you can make your own! I’d love to see how they turn out if you try it. I used products that I already had and tried to make it all work together. This is a great project to do with little kiddies (if you use white glue instead of hot glue), and is an easy way to spruce up the place with some seasonal decor. Make a circle from the clothes pins to see how big you need to cut your circle. Cut the circle piece out of cardstock and attach coloured paper if you’re not happy with the original colour. I used two bowl of different sizes to cut the circle out and saved the inside piece for my scrap pile. Divide up the clothes pins into 5 groups (or however many different papers you are using). Cut the paper into smaller strips to be glued onto the clothes pins. Place the pins around the circle cardstock and rearrange for placement. I liked placing them at all different levels to add a little… je ne sais quoi. Glue the pins onto the cardstock one-by-one, replacing where it just was. Add your embellishments and string. That’s it! Super easy and super thrifty! We’re celebrating our Easter early this year, so I will be giving this to her tomorrow. I absolutely can’t wait to see how she likes it!